Yesterday, Harvard Law Professor Alan Dershowitz appeared in a panel on CNN arguing a point that caused other participants to turn red with anger. I think I saw smoke coming out of their ears. His argument was that no President can be legally accused of obstructing justice as long as he is exercising his constitutional authority. And remember, the breadth of that authority is immense. But pay attention to the modifier “legally”. There is a big difference between what is legal and defensible in a court of law and what is morally right and defensible in the court of public opinion. According to Prof. Dershowitz, Trump can summarily fire anyone in the executive branch, except the Vice President and employees protected by civil service regulations. He can do this for any reason or indeed for no particular reason. He can order the Justice Department or the FBI to terminate any investigation, criminal or not, regardless of who is the subject. The so-called independence of the Justice Department is custom, not law. He can pardon anyone, before or after their conviction. He can even pardon himself, though not where an impeachment is involved. No one can gainsay any of these decisions. They are not reviewable by any court or by Congress. Moreover, the President is totally immune from civil liability for any of his official acts, though impeachment can remove this protection. This pokes a gaping hole in most of the overheated rhetoric by his Democratic opponents. There is nothing currently in the public domain that would indicate legal jeopardy for President Trump. But these are early days and the establishment of a special counsel is ominous. And of course there are limits to Presidential immunity. The President cannot commit criminal acts, destroy evidence in a case under investigation, lie under oath or suborn perjury. He must submit materials demanded under subpoena by a legal authority. But he can quite legally halt any federal case in its tracks and raise his middle finger to his opponents. This may appear to transform the President into a virtual dictator, but there are two resources available to restrain him. Article 2, Section 4 of the Constitution provides for involuntary removal by impeachment. The legal basis for impeachment is whatever Congress says it is. So it can consist of ordinary criminal activity or such indefinable offenses as “failure to execute authority” or “unbecoming conduct.” Essentially Congress can simply use this authority to say, “Begone, scoundrel! We have no further use for you.” This isn’t easy, requiring a two-thirds super-majority of the Senate. 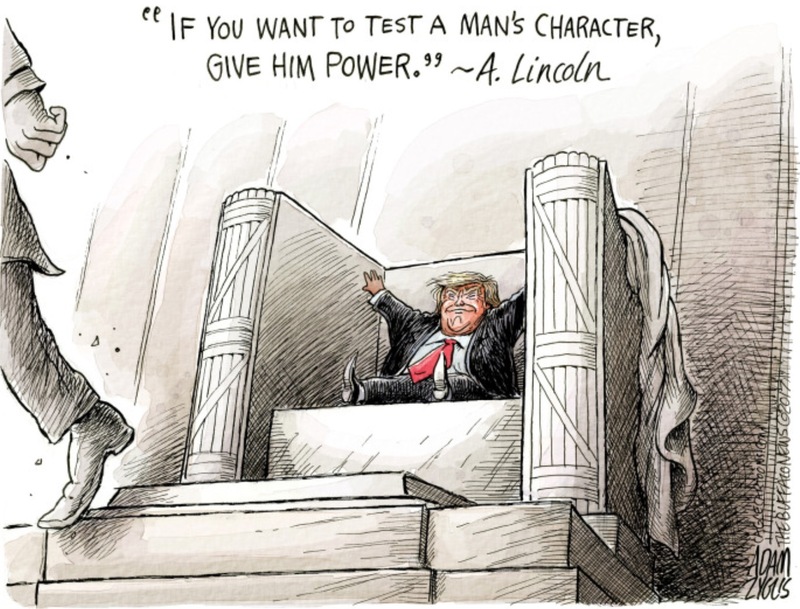 There have been four serious attempts to remove a President in this manner and all failed, though Nixon did leave voluntarily when the outcome was inevitable. The second resource arises from the 25th Amendment to the Constitution. The President can exercise rights under this amendment to relinquish his office voluntarily whenever he feels unable to fulfill his responsibilities. This is a temporary measure until such time as he issues a revocation. Ronald Reagan and George W. Bush employed this mechanism when they required temporary hospitalization. No President under assault by political opponents would be likely to use it. But there is another part of this amendment that permits either a majority of his cabinet or even some ad hoc group established by Congress to force a President to give up his powers, presumably though not necessarily due to disability. This might be called the Fruitcake Provision, and it seems germane to at least some of Trump’s more imaginative opponents. It has never been tried and it is unclear whether any such attempt would survive judicial review. This is our system, as explained by one of the country’s foremost constitutional scholars. So, TV commentators, self-appointed legal experts and the like can fuss and fume but that changes reality not one whit. I don’t much like this aspect myself but I can’t conceive an alternative that wouldn’t be subject to its own serious drawbacks.